The firm handles the representation of both claimants and respondents in connection with actions brought before the many administrative entities in the State of New York. This includes licensing disputes, civil rights complaints and job actions. David works with his clients throughout the process to formulate the best and most effective course of action and takes a very proactive approach to resolving these claims. Each matter gets David’s personal attention and the firm emphasizes the importance of good communication and cooperation between client and counsel. The firm makes each client a partner in the process and provides timely, ongoing and comprehensive reporting. 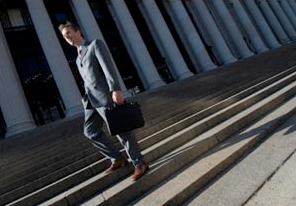 Above all, the firm is committed to offering its defense clients professionalism, quality and results.